Work has been completed on the new £2.8 million Rathlin ferry. 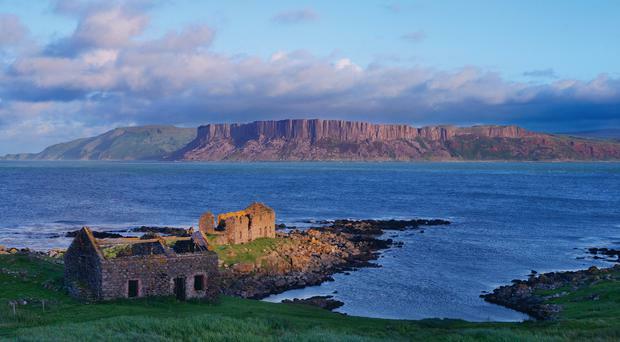 Named The Spirit of Rathlin, it will operate between the island and Ballycastle, carrying passengers and vehicles. It will replace the aging MV Canna and operate alongside the MV Rathlin Express, a passenger-only ferry. A £1m harbour is also being built on Rathlin to accommodate the new ferry and is due to be completed shortly. The Spirit of Rathlin includes a modern passenger lounge and an upper deck for use by customers during good weather. It will be operated under a 10-year contract awarded to Rathlin Island Ferry Limited. Once the harbour is complete and a Passenger Certificate has been obtained from the Maritime and Coastguard Agency, The Spirit of Rathlin will come into service. Infrastructure Minister Chris Hazzard said: "This new ferry has been designed to modern standards and includes the latest technology for the service it will operate."